From the results of our 12,000 reader-strong survey, here are your top 10 tyres for wet grip. 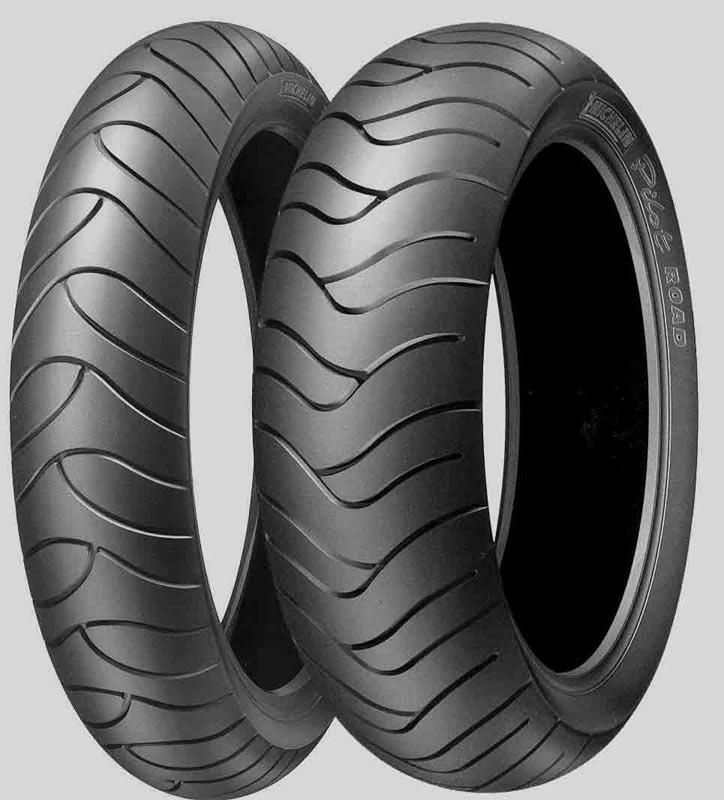 A dual purpose tyre developed for GSs and KTM Adventure-style bikes. They are not full-blown knobblies and have a smooth rolling characteristic for long distance journey comfort. 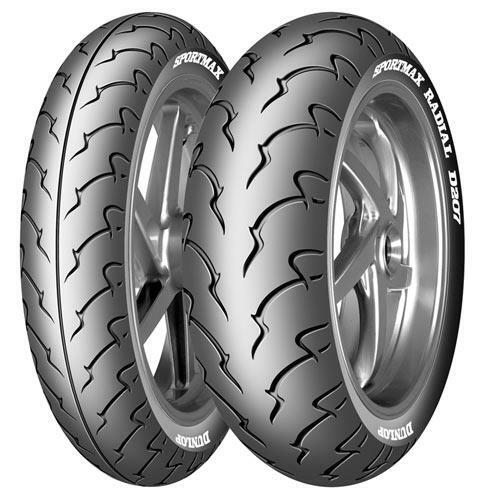 They will cope with very light off-road work and are Metzeler describe them as giving light handling. Comes in fitments for many popular mid-range commuters and older sports bikes dating back to the late-’80s. This tyre is over 10 years old now but is still very popular – Bridgstone say it’s still one of their best selling. One major benefit of the Z-6 is that you can get fitment sizes for adventure machines with a specific contour design claimed to give better mileage. 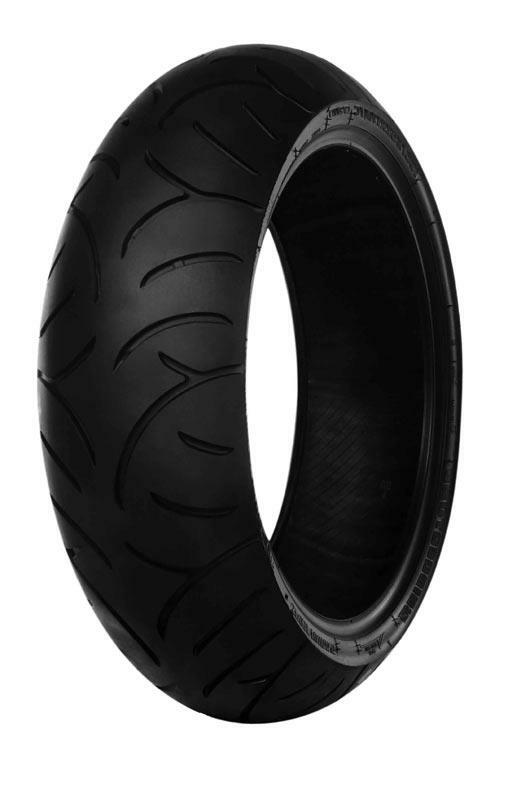 The compound is known as ‘fine carbon matrix’ which is designed with dry grip and longevity in mind. Single-compund tyre for sports tourers, claimed by Michelin to offer exceptional value and impressive tread life. 19-inch front fitment fits adventure-style bikes. The D207 was updated last year with claimed improvements to wet grip and tread life. 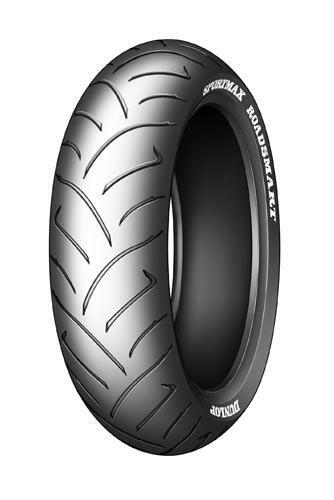 The new version now uses the Sportmax Roadsmart compound and there is a wide range of fitments for sports, naked and touring machines. Not a bad showing for a tyre that’s being replaced this year, by the BT-021. Offering decent mileage this touring tyre also comes close to what Bridgestone describe as unsurpassed wet performance. A classic-focused tyre with a wide range of fitment for front and rear. The ME22’s tread pattern in designed to keep the performance levels relatively high and to shift water away from the contact patch faster. 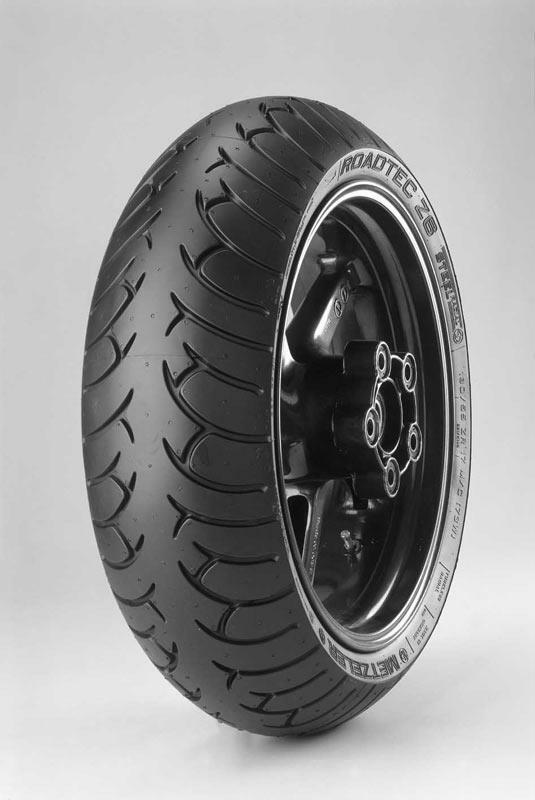 The BT-021 is Bridgestone’s first tyre to use the firm’s MSB (Mono Spiral Belt) on both front and rear tyres. Stiffness is provided by HTSPC (High Tensile Super Penetrated Cord). Initials and abbreviations aside, this is claimed to raise stability. This tyre’s contact patch changes size and shape depending on lean angle, and the compound is described as ‘Super-Rich Silica’ which gives better wet performance. The tread patter has been redesigned to shift water faster, too. 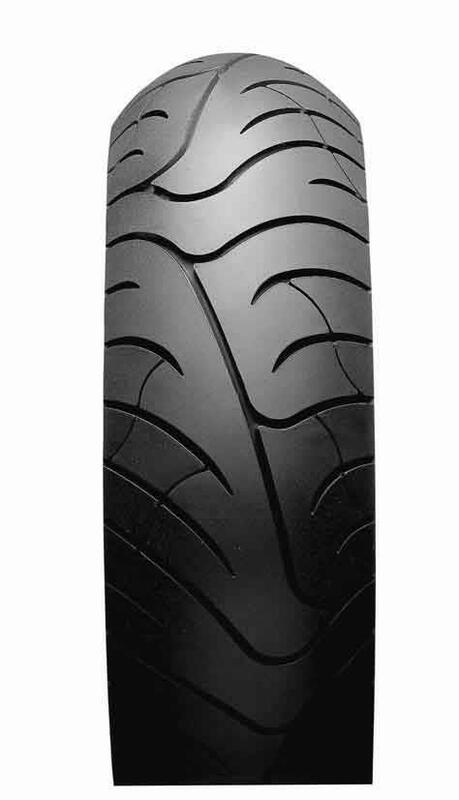 There’s triple-compound technology is this touring tyre, featuring two types of silica and Polybutadiene – this combination is claimed to increase tread life considerable. 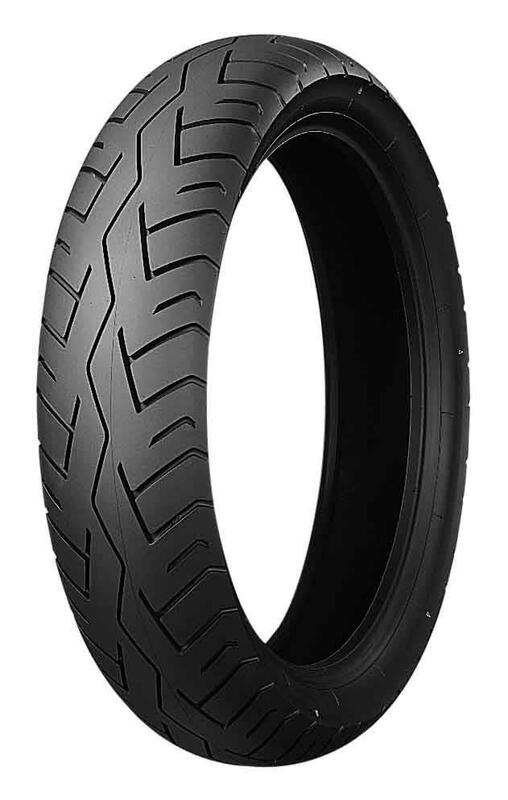 Dunlop approve this tyre for use on 1000cc sports bikes, despite it being touring oriented.